This summer has brought me to a new level of humility, gratitude, and appreciation, all of which I find to be fundamentally sound values to foster in children and adults of all ages. September and November Events are filling up, and I am touched more than I could ever express for the diligent efforts of our family and friends. It is no wonder that my family tree has strong roots in the City of Brotherly Love, Philadelphia . William Penn founded the historic city in 1682 and the Declaration of Independence was signed there in 1776. It is home of the Liberty Bell, the most intimidating fans in football, and my grandmother. As a New Jersey native, I must admit that my South Philadelphia roots and incorrect pronunciation of “water” can not help but come out from time to time. The Philadelphia Eagles will begin the 2016 football season on Sunday, September 11, 2016 just a few blocks away from my mother’s childhood home. Those passionate fans will be ready to stand tall for our country and for their team. They will bleed a combination of green, red, white, and blue to commemorate Patriot Day and the American past time. Fans will honor and cheer for the memory of what was and the hope of a new beginning. Then, it is my sincere hope that win or lose, another tradition will stay strong. The one and only Pat’s King of Steaks since 1930 is located at the intersection of 9th Street, Wharton Street, and Passyunk Avenue in South Philadelphia and sure to serve up a post game delight. This iconic location will help my family’s efforts become one step closer to a cure by hosting Cheesesteaks for Kelsey. On September 11, we will join forces with the King himself to help the Princess of our lives. $1.00 from every steak purchased from 4 P.M.- 10 P.M. on 9/11/16 will go towards our mission and help us with our goal. Come one, come all. Win or lose, my heart will be full with pride as an American for all of the pain and resilience that day represents, pride as a mother on a mission to bring attention and hope to her daughter and other affected children, pride as an Eagles fan, and pride in my South Philadelphia roots. The City of Brotherly love will not disappoint me. Are you wit us or are we wit out you? Author New View for PANPosted on August 31, 2016 August 31, 2016 Tags Cheesesteak, gratitude, Pat’s King of Steaks, Philadelphia4 Comments on Wit or Wit Out? On the day of my nuptials, I did not fully understand the weight of the words. Though it remains one of the happiest days of my life, marriage is arduous. It is a journey that weathers many storms. It provides sunscreen, shade and solace on the blistering hot moments of life, a soundtrack for the celebrations, an anchor to pull you safely to harbor, and an umbrella to keep the rain away. Each day presents small opportunities to learn and love. Some days are more challenging than others. It takes durability, resilience, and grit at times. I have learned that the grueling times have ultimately made us steady and stable in the end. It is fascinating to consider how love evolves over time and how much individual growth occurs year after year as your union flourishes. 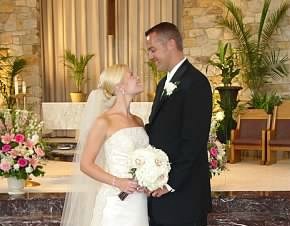 Nine years later, I can say that we are more in love than we were when we said those I dos. Though, at times, the umbrella of marriage has reversed and appeared to turn inside out. Some days or months wear on you and create tiny holes that are essential to patch promptly and correct with care. When the rain is over and you find yourself dry once more, you are relieved that the storm has passed and the patch sustained repair. Some nights, you need that anchor to guide you home safely, too. You are grateful and humbled by love’s embrace. The past nine years have been full of celebratory songs, heavy anchors, multiple bottles of sunscreen, and a reliable patchwork umbrella. Our hearts prefer the harmony, but our lives have tested the dependability of our umbrella. While our love came first, it naturally falls into last place these days. Anyone with young children would likely agree. When planning our wedding, centerpieces and chair covers were our two main struggles. While trivial in life, the compromise and communication you need for a strong marriage are real regardless. We found a floral happy medium and the day was pure bliss sans chair covers. Though our struggles are much heavier now, the ability to get past them wearing a smile requires the same elements that they did over the trivial details years ago. For four years, I thought that we had marriage mastered. It seemed effortless and comfortable. I was beyond blessed to bring two children into the world and though our house was small, our love was vast. Life was almost too good to be true with the love and health that surrounded my home. Four years in, we were shaken. I think back often to the sixteen days we spent apart over the Christmas holiday of 2011. We managed to keep normalcy for our son and a pillar of strength present for our daughter. It was difficult not to fall apart altogether or find ourselves holding an umbrella that could no longer be repaired in the New Year. When marriage forced us to talk about in sickness as the chronic illness of our child, it was more difficult than I could have ever imagined. We waited for answers. We waited for help. We waited in each other’s arms. Five years of worry, tests, tears, joy, pain, trials, laughter and tribulations have always come back to one fundamental element: open communication. We have had differences in opinion regarding Kelsey since her first fever. Our love for her is infinite, but our ability to internalize all that we have watched her endure has its limitations. Her recent bug bites left us with glaringly conflicting mindsets, and we could not get out of our own way. For the first time in nine years, we hurt each other so deeply that we did not speak for an entire day. I never understood how couples could get to that point until it happened to me. Isn’t that the case with anything, though? You never fully understand until you live it. In marriage, you must speak freely and listen carefully. Having a child with a rare disease makes it even more critical to have open communication. If we are not a team, we would crumble entirely. Our support of each other directly enhances or divides our family. The choice is ours and it is not always easy. I do love your patience and easy-going nature. You keep me grounded and calm. I do love the way you look at me as though we first met. You steal me away. I do love the man you were when I met you and the husband and father you have become in all of the days and years since. You are a better man than I dreamed you would be, and I had high expectations. I do love the way you provide love, strength, and loyalty to our family and the way our children stare up at you with wonder and amazement. You are their hero. I do love that you accept me for the girl I once was and the woman and the mother that I have become. You know it all and you love me still. I choose you today, tomorrow, and all the days to come, fully understanding the words. To donate to our cause, click here. To purchase tickets for our November event, click here. Merriam-Webster defines wisdom as “the natural ability to understand things that most other people cannot understand.” The idea of wisdom has been on my mind a great deal recently both personally and professionally. Today, it would be at the forefront. The day began with an ideal and carefree morning. It seemed a perfect blend of sunlight and promise. My four-year-old niece was coming over for the day to play. My grandmother, lucky enough to have four great grandchildren and another on the way, was joining us for some laughter and fun. Gram, as I call her, and I talked a great deal about life and love while the kids relished in play and imagination. We danced, giggled, and enjoyed time together as a family. I could not help but marvel at the contrast between the wisdom and innocence that spanned four generations. A few hours into our fun, I noticed three raised bumps on Kelsey’s leg, just above her knee. This was suspicious to me, as her troubles tend to be on those limbs. Kelsey realized that I was gazing for too long. I hoped that the nodules were simply bug bites. Though, the longer I stared, the more I knew they were not. To throw off the scent of worry, I referred to them as such. I did not want to concern Kelsey nor make my niece alarmed. I did take a picture of her “bug bites” and shared them with Kelsey’s caring doctor. While the children’s senses could be tamed, mine were on high alert. Those raised nodules derailed the otherwise beautiful day. Those pesky raised red marks have only represented trouble in the past, and I felt wise on a subject I wished I had difficulty comprehending. I held my breath and sat in that waiting place again. I feel like I have been holding my breathe there all summer. As always, Kelsey’s incredible doctor saw the pictures and promptly responded with concern. She has a few new ideas for Kelsey’s treatment. Too many recent “bumps” have raised doubt in her medications and their effectiveness. Our doctor wants to discuss her ideas with the National Institute of Health and together, they will determine the best course of action. Life was good today. I still want it to be. I worried a bit longer and hoped for a quick disappearing act to occur. I had to look at that leg one more time. As I attempted to privately analyze Kelsey’s legs, I heard tiny footsteps approach the door and walk in. It was my niece. She is very inquisitive and clearly noticed that I had been monitoring Kelsey’s “bug bites” all afternoon. Curiosity got the best of her. I had to hand it to Kelsey. Perhaps there was far more wisdom in the room than I first gave credit. Wise beyond her years at five, I secretly shed both a proud and concerned parent tear. Merriam-Webster defines venomous as “producing venom in a specialized gland and capable of inflicting injury.” Venomous, indeed. Weeds. They are pesky plants that grow in places they should not. They thrive where we want them to perish, and they can overtake beauty anywhere they grow. Tonight, I looked at my mulch bed. I’m not a gardener and far from having a green thumb. Where I once looked and saw mulch, I saw nothing but green. It was not the desirable green you hope to see in your lawn, though it was certainly lush. Instead of enjoying a chapter of my book while I listened to my children play, I got down and dirty. I felt the dirt dust upon my khaki shorts and coat my hair with topsoil. Though I was ill-equipped, lacking a hair tie and gloves, I realized that I could not let these growths overpower my lawn another day. The more I truly looked at the intertwined madness, the further my mind drifted from the weeds. Instead, I thought about Kelsey’s body and the blood vessels interconnected within her, within all of us. One tiny root can take hold and wreak havoc. It is possible in the garden as it is inside us all. In contrast to my view this evening is the picture-perfect mulch delivery day, full of rich color and that undeniable smell. I close my eyes and wish it to magically appear in front of my eyes now, highlighting the landscape and the promise of cultivation. That is, in fact, the promise I hope for every day when I open my eyes, vibrant and full of intense beauty. The trouble is that one small root planted itself firmly and has since challenged that dream. In November 2011, a small germination developed inside of my daughter’s right leg. Its seeds spread where they should not have, quickly and silently. The hope and promise that comes with every fresh mulch bed is the same promise that every child deserves, that my child deserves. I stay up so often at night wondering why there are so many weeds growing in our children’s gardens. Polyarteritis Nodosa and the gene deficiency inside of Kelsey is neither annual, biennial, or perennial. It has not the pattern nor the predictability of those three common weed varieties. Though, the intertwined system and fibrous nature that creates terror on the lawn can cause the same fury inside of her. Without constant care, monitoring, and attention, blood vessels could enlarge or necrotize causing organ damage or another stroke. It is a seed that fills my mind with worry, and one I try not to spread further than it needs to sprout. Instead, I try to love deeply, pray often, and hope that our newly formed Foundation will lead to a better way to monitor the weeds in gardens around the world. For unlike purchasing the most effective herbicide, yanking out the root, or placing weed guard in the perfect position, the best known formula to diminish Kelsey’s weeds is unknown. Every Wednesday, she gets her protective injection, much like a preventive spray. The trigger is much harder to pull and much more difficult to measure. The life saving drug is dispensed by patient weight. It is also known to accelerate growth. How can you accurately maintain and stay proactive with treatment that also stimulates development? It is a riddle our doctors hope to answer and stay on top of, though, it also leaves much doubt. It gives too much room for those unwanted plants in areas we do not wish them to grow. They seem to take over the lawn completely and eradicate the beauty both inside and outside of my home. Whether a picturesque Easter Sunday or an otherwise beautiful Monday, the weeds seem to grow with a vengeance. They extinguish hope and damage more than just the landscape. In one hour, I only uprooted a small fraction of the weeds. I did not have the daylight nor the energy to continue. In just over two years, I know little more about PAN and Kelsey’s gene deficiency than I did on that difficult June evening I learned of the diagnosis. Tomorrow, I will take on the lawn. If only it was as easy to tame Kelsey’s weeds and the fury they could unleash if overlooked. You know where my mind will drift if you see me out there pulling down the root, wishing I could tear out much more than the lawn nuisance. Changing tides are natural shifts in the waterways caused by the gravitational attraction of the sun and the moon on Earth. The moon has a hold and a force on the outcome of these changes unlike any other influence in the world. Tropical storms miles south can even create record high tides much further north, as they doing now. Tides have always fascinated me as the daughter of a true boatsman. The truth is, Kelsey is my moon. Her force is incredibly powerful. This morning, my curious son wanted to investigate our names and their meanings. We learned that Old English defines Kelsey as “fierce.” That was no surprise because I would say that she is truly a force to be reckoned with. While the cycles of her life are unpredictable, the gravitational attraction she has on me is not. It is also no coincidence that “Kelsey” is also known as “the ship of victory.” I realized and felt drawn to the strength in her name while we were selecting it but never knew the nautical relation. I find the newly revealed meaning fitting since she controls the tides of my life. As her mother, I feel it is my job to help her find victory. Her triumph is my mission, but her ship is hers to sail. When the sun is shining and the tide is high, boaters and beach-goers rejoice. The activities they hope to enjoy are easy, fun, and full of water’s depth. Kelsey is just like the highest tide with her strong current and ferocity. She shines so brightly and soars to meet the feet of boaters as boat ramps do when her tide is high. Her small victories trigger sensational highs for me, too. She enjoys life in those moments more than any other child I have ever seen. She literally jumps for joy, and I often find that her exuberance is contagious. We have been out at parties, picnics, and other social gatherings to hear sentiments such as, “she is the happiest child I have ever seen.” During those times in the past, I can not express how grateful and sad I have felt. “They have absolutely no clue. Can you believe she has had a stroke?” I often think in response, but instead say aloud, “Thank you so much.” Don’t get me wrong, I am always grateful to hear kind words but felt that I withheld a great secret as well. During the high tides, the mother in me is so proud that she can almost burst. Kelsey is thoughtful, considerate, and never leaves a child out. Her zest for life is difficult to ignore. The difficulty is to imagine that a low tide may be coming or that an eminent threat is on the horizon. When the tide is flowing, the day flows with grace and beauty. Those days and moments are true gifts and I cherish them. In contrast, when the water ebbs and starts to clear, creatures below become visible, trash emerges in places you would least expect, and the current may just steal you away. Just as her troubling days are delicate to talk about and difficult to live through, when they happen, my tides are excessively low. I am swept away in those moments, when the energy depletes out of my daughter rapidly. Last week, I hit a low that often comes with a weather extreme, a tropical storm, or a rare moon. I was not sure how long it would take for the water to return and the docks of my mind to rise back to a stable place. My son’s laughter and thirst for knowledge helps me more than he will ever know. I often wonder how he deals with all of this, seeing far more than he can possibly understand. I believe that in his own way he knows when I need him. He knew this week. As we left for Kelsey’s blood work, Murphy’s Law surrounded us. The lab orders were expired, my printer was not functioning, and my anxiety was high. Two hours later, when we finally got in the car, I looked back at him. He wore a camouflage windbreaker (mind you, it was almost 100 degrees), protective goggles, one wool glove, and held a suction cup bow and arrow in hand. He said it was his protective gear, and it was precisely the laugh I needed. My son’s name means “Remembered by God.” If Kelsey is my moon, my son is truly my gift. He helps my tides stay high and keeps a smile on my face, even in the lowest extreme. My husband’s words and my parents’ comfort also gave me strength this week in more ways than they know. The positive words and messages from friends near and far were great blessings, too. They all combined to keep me together. As we wait still for the results of blood work and the possibility of imaging to assure that all is well inside those tiny legs and surrounding vessels, I am trying to keep the positive energy afloat. The waiting place is still a very useless space, but the changing tides keep me smiling. Day by day is our family motto, and happily today, the tide is rolling in rapidly.